Recently PRC President Xi Jinping’s meeting with ROC President Ma Ying-jiu in Singapore is considered a break in the US pivot defensive chain policy, as the factor of Taiwan countering China may not go as planned by some US consulting groups. Just about every modern democratic construct in Taiwan like Academia Sinica, Legislative House, banks, and TV broadcast companies, was founded by the Nationalists. Because of the lack of capability and originality to found their own constructs, the DPP’s unspoken project is to rob, sabotage or put a death sentence to these Nationalist structures. If Americans think they can fathom the DPP's irrational hatred and bias against the KMT, good luck to them. In 1949, when Chinese Nationalists retreated to Taiwan, America lost a big section of the political jigsaw puzzle in mainland China. It tipped the balance to the Soviet bloc, so the domino effect: chips kept on falling, Korea and Vietnam. Manchuria Tiger’s Tragic Fate: When the Japan Wolf was gone, the Russian Bear consumed it. The old Marshal dubbed “Manchurian Tiger” was able to balance Japan and Russia before his assassination in 1928. After that, in Manchuria, his son the Young Marshal attempted to get rid of Soviet control. In 1929, he tried to take back the China Eastern Railroad from Russia, which ran from Siberia through Manchuria to China’s east coast. 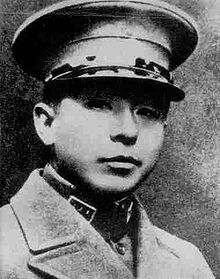 In 1931, when Japan invaded Manchuria, the Young Marshal was ordered not to resist by the central government. His tragic fate was to be put under house arrest for the rest of his life when in 1936, he kidnapped and threatened Chiang Kai-shek to forge an alliance with communist to resist Japan’s invasion. When Chinese Nationalists fought off Japan, unfortunately, this allowed Russia to take over and build up Chinese Communist forces which eventually swept through the entire China. When ROC declared war against Japan in 1937, after eight long years struggle the country was in shambles. Although they evicted Japan, this only helped Russia to be free of their eastern enemy, imperial Japan, as opposed to the western enemy of Nazi Germany. So America allowed the Russian military to accept the surrender from Japan in Manchuria, instead of to the Chinese, violating Chinese sovereignty. The US allowed Stalin and the Communist faction to take over. In 1945 Japan was defeated, 150,000 military dependents were repatriated, in addition to 320,000 overseas Japanese. 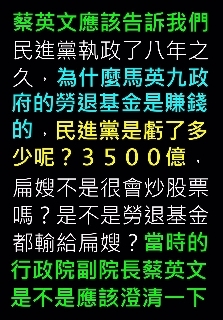 200,000 born in Taiwan from Japanese parents were expatriated back to Japan, still there were some left in Taiwan. As the Nationalists defeated Japan, this became a deep seated hatred for people with a Japanese identity such as DPP chair Tsai, whose ancestors profited as tycoons during the Japan rule era (1895-1945). She has been dubbed “empty heart” because she has no feelings toward people other than Taiwan-Japan identity people. 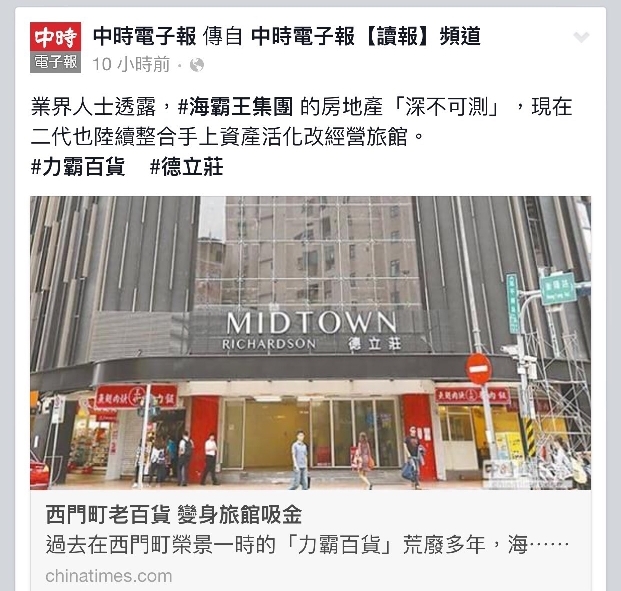 During her deputy executive Yuan era, Tsai amassed land and converted an old department store to a hotel chain. In Taipei and Kaohsiung she has investments along with mainland Red Communist merchants. Who says Ms. Tsai has no connection with Communist Chinese? Why does America think it is safe to use her to counter China? During Ma Ying-jeou’s governing, the labor pension has a positive yield, while under DPP control the pension fund lost $11 billion US (3500 Yi NT). At the same time, Taiwan First Lady Mrs. Chen was playing with the stock market, we suspect some of the lost 3500 Yi went to her pocket or to political action groups like FAPA. During the Ma administration, labor pensions were all in surpluses while DPP lost people's money. Summary: The American pivot policy may be disabled when DPP Tsai becomes President, as the "trouble maker" will stress the US regular routine in keeping a calm status quo as they will constantly lash out ethnic hate against ROC government constructs and people for recovering a lost land after 50 years from Japan. The identity crisis is simmering in a burner and is ready to explode at moment's notice.